The end of summer is a perfect time to undertake landscaping projects that will make your yard look lush and inviting when spring returns. According to the team at Dundee Nursery in Plymouth and Hutchinson, MN, fall is the right time to apply grass seed and promote healthy growth. Here, they explain why the cooler weather is beneficial for your lawn. You might enjoy spending time in the yard on a warm day, but summer temperatures are too high for grass seeds and fresh shoots. Applying seed at least 45 days before the first expected frost means the ground conditions are optimal. At this point in the season, the days are still warm enough that the seeds will begin to grow, and the nights are cool enough to prevent scorching. Morning dew sticks around longer in the absence of extreme summer temperatures, so seeds get the perfect amount of moisture for germination. Weed tend to take over in the summer when it’s hot and dry, but they die back in cooler weather. Grass seeds will have a better chance of survival without competition from warm weather weeds. Since you don’t have to pull invasive plants, your landscaping routine is much easier. All you have to do is monitor the lawn and provide supplemental moisture and nutrients as needed. Most pests that are active in the summer either migrate to warmer environments or enter a dormant phase when the temperatures drop. 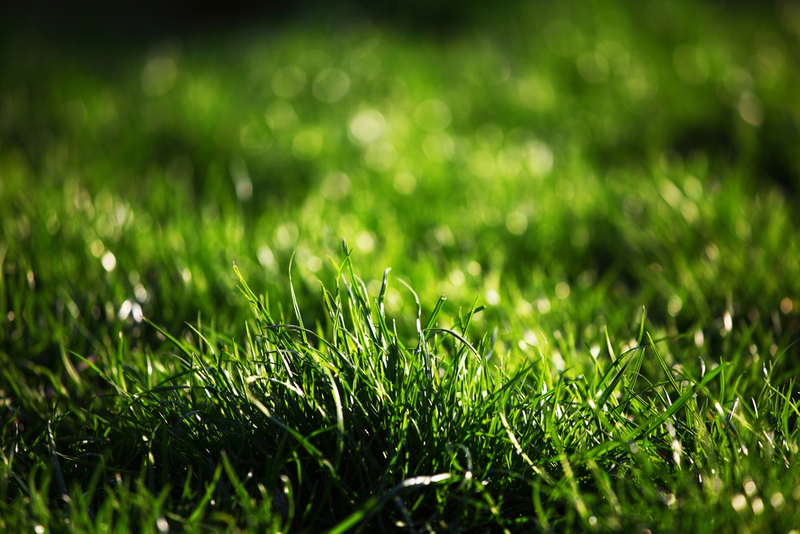 Decreased insect activity gives new grass a chance to thrive. When spring and summer return, the plants will be strong enough to resist pests. The landscape design specialists at Dundee Nursery will help you choose the right seeds and gardening tools to create the lawn of your dreams. Their team is available to answer landscaping questions throughout the year, so you can enjoy thick, green grass every season. Call (763) 559-4004 or visit their website to keep your yard looking good as summer comes to a close.